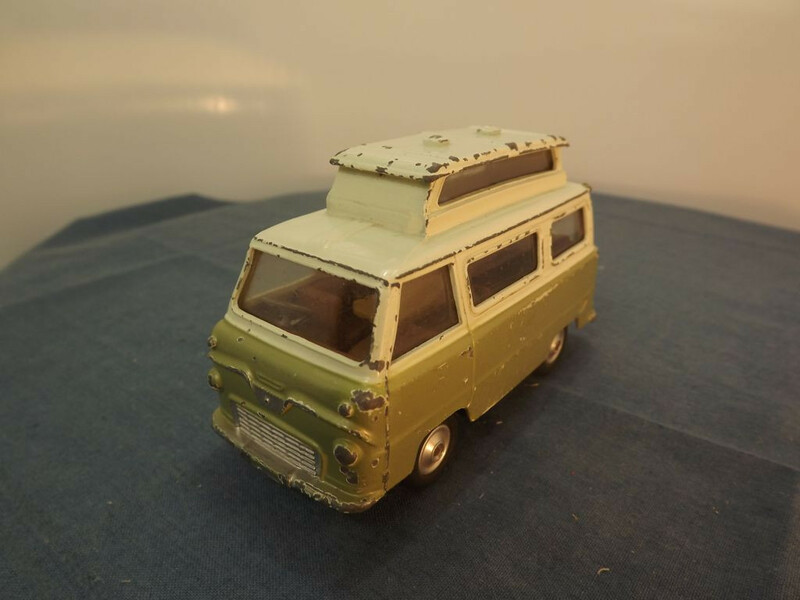 This model is the Corgi 420-A-1 Ford Thames Airborne Caravan with greenish off-white upper and olive green lower colours. At the front there is a chrome grille, lights and bumper. Above this is a smaller silver "badge" area. 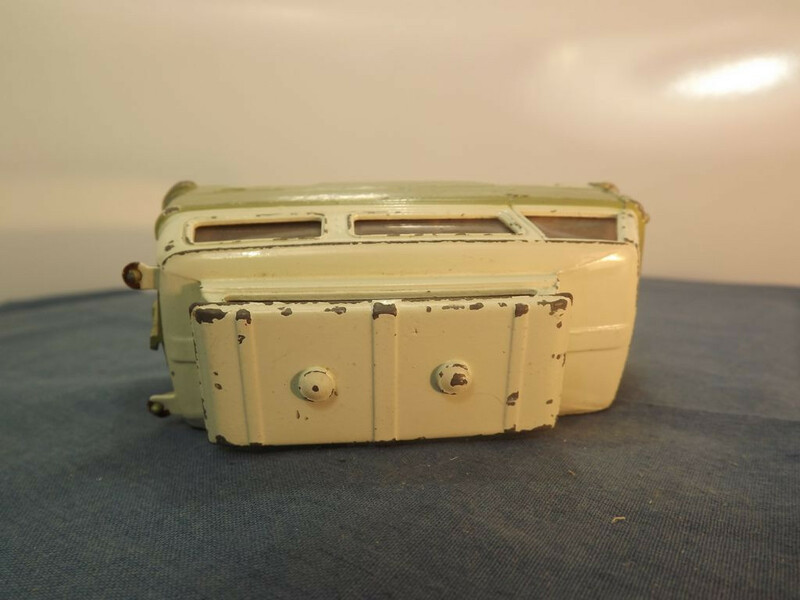 The sides have cast imprints of the front door and a rear petrol cap. To the rear are two opening doors, below which is another silver bumper but no rear lights. The raised roof area sports twin air vents and three horizontal bars. 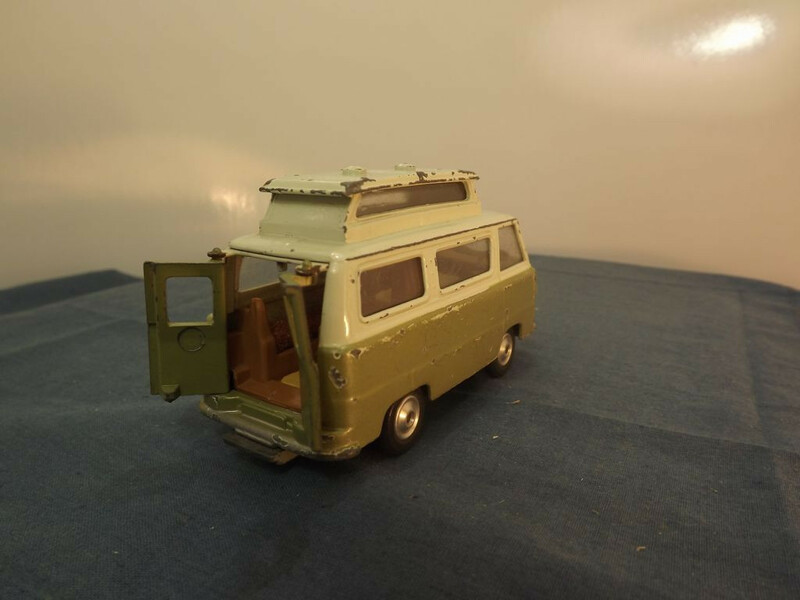 The interior is tan plastic with a right hand drive, silver plastic steering wheel set into the dashboard. 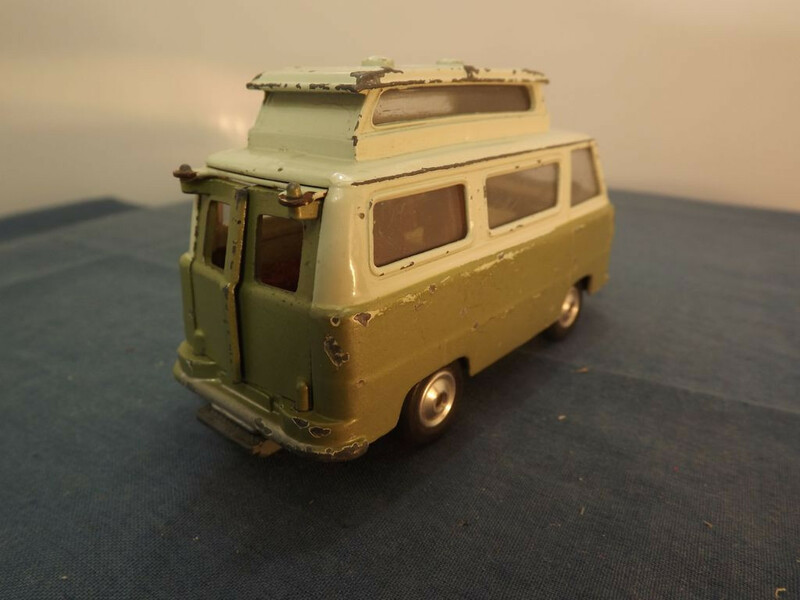 The rear doors open to reveal the interior which has a yellow plastic table and floor area, tan seating on each side and a tan sink and stove top. The glazing all round is clear, with the exception of the rear doors which have no glazing. The raised roof panel has clear glazing on the two long sides. 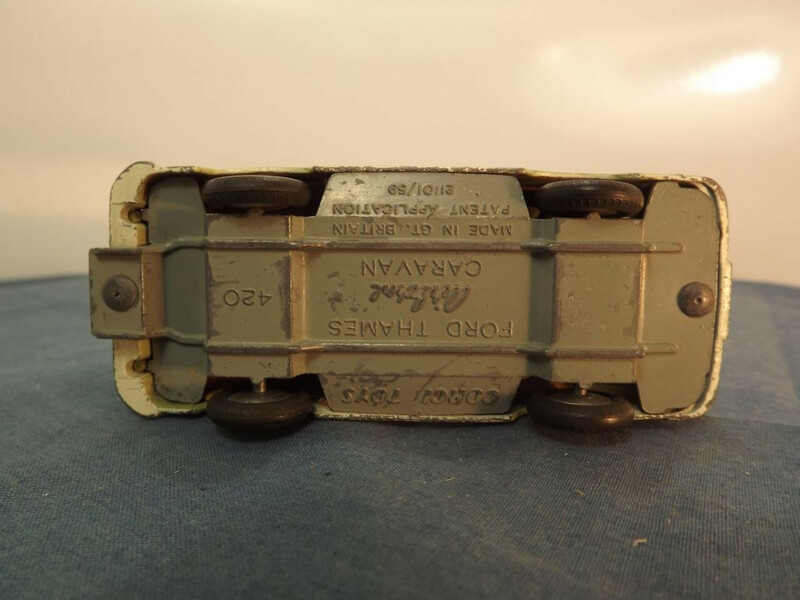 The base plate is grey painted metal and is marked with "CORGI TOYS" at the centre top, "Ford Thames, Airborne, Caravan" on three lines at the middle centre and "Made in GT. Britain, Patent Application, 21101/59" on three lines at the centre bottom. The model reference number (420) is cast over the rear axle section. The base plate is held in place with two machined rivets, front and rear. Issued February 1962, this was the first version issued.